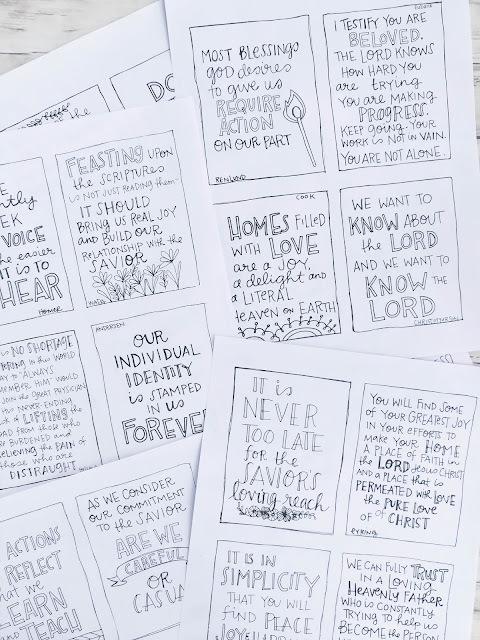 April 2019 Church of Jesus Christ of Latter-Day Saints General Conference printable cards. 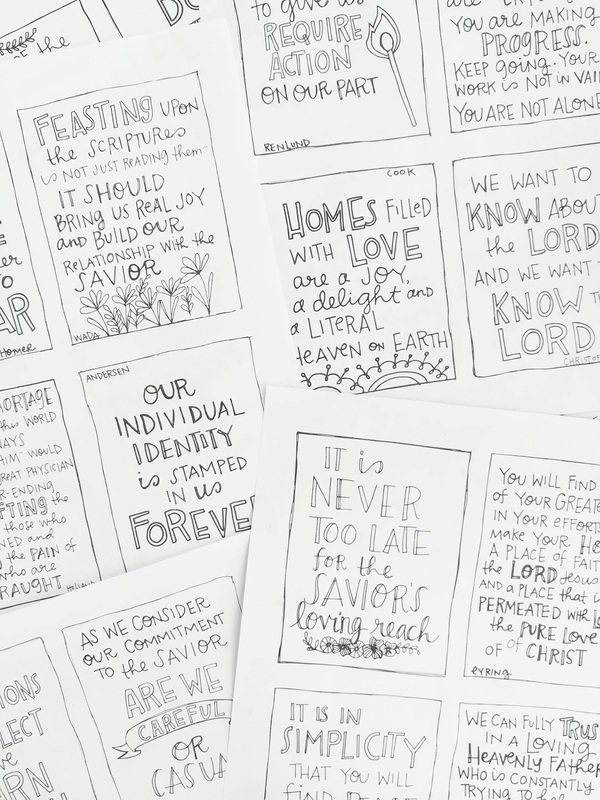 Color these cards, add them to your scripture journal, hang them as a reminder of the beautiful messages from the most recent General Conference. Hello friends! 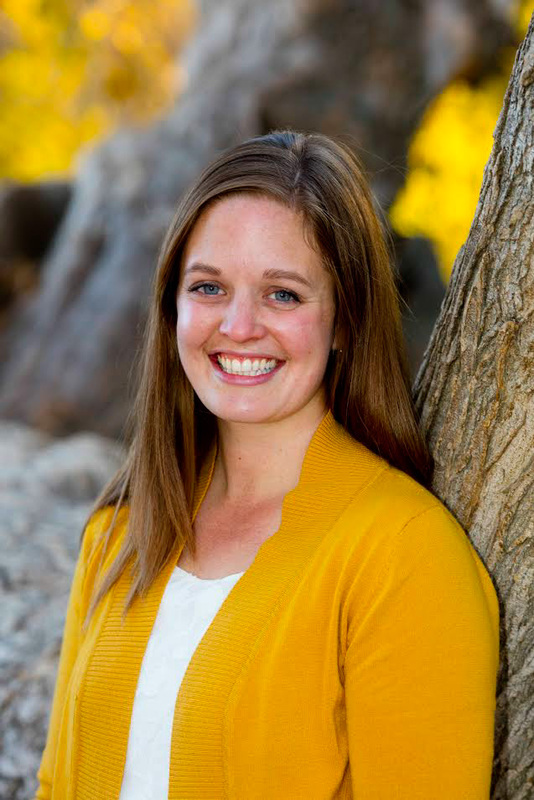 Wasn't General Conference wonderful? The application of those principles for me, and for my family, will probably look different than it would for any other family. But that's one of the reasons why I love Conference so much. While the words are delivered to 15+ million people, they are meant for individuals. We are able to seek guidance as to how best to apply them in our own lives. Now that Conference is over, I look forward to going back over the talks and studying them in depth over the next 6 months. My goal is always to study at least one talk per week. And as the next conference draws closer, I often study one talk per day (re-studying them for a second or third time) in the final month before the next conference. I tend to change my Conference study methods frequently, always searching for "The Best Option". I love drawing sketchnotes in a blank page journal. 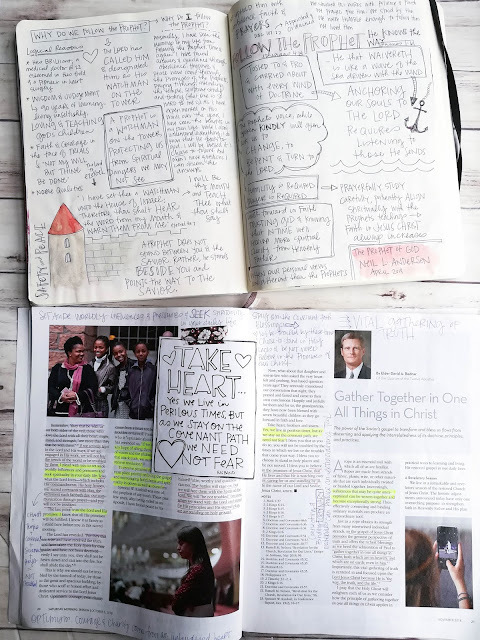 For the October 2018 conference, I took notes directly into my Conference Report Ensign (which is now thoroughly tattered). I added in my sketchnotes cards using washi tape and used them as an extra place to journal. This time around, I am planning to use a wide-margin copy of the conference talks, I'll print them out and spiral-bind them (more on that later). I've love to know more about how YOU study conference addresses? Do you have a system you that works really well for you? Leave a comment and tell me all about it! 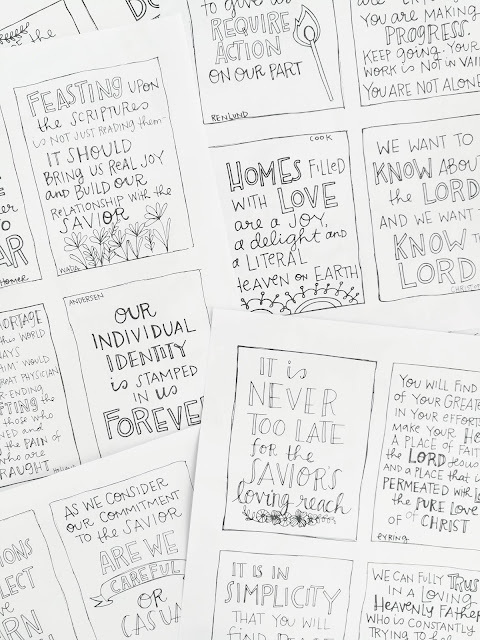 I hand-lettered these cards from the most recent general conference to share with you. I chose one powerful quote from each of the talks from the main sessions of conference. I haven't had a chance to watch/listen to the priesthood session yet, though I will study it in the future. These are the quotes that stood out to me, you may have had something else touch your heart. I'd love to know what your takeaways were! COLORING PAGE. 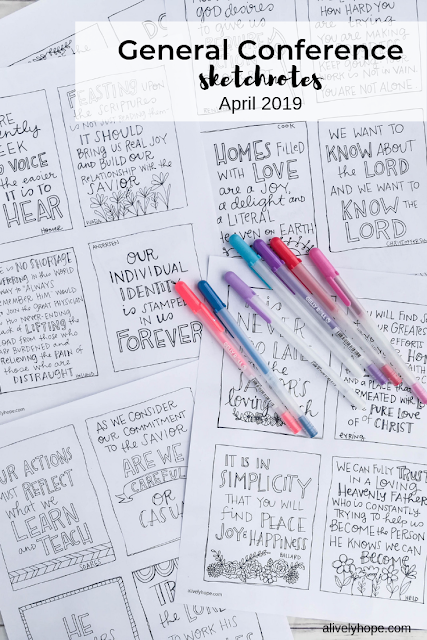 Use as a coloring page for your kids to work on during family scripture time, or during sacrament meeting. 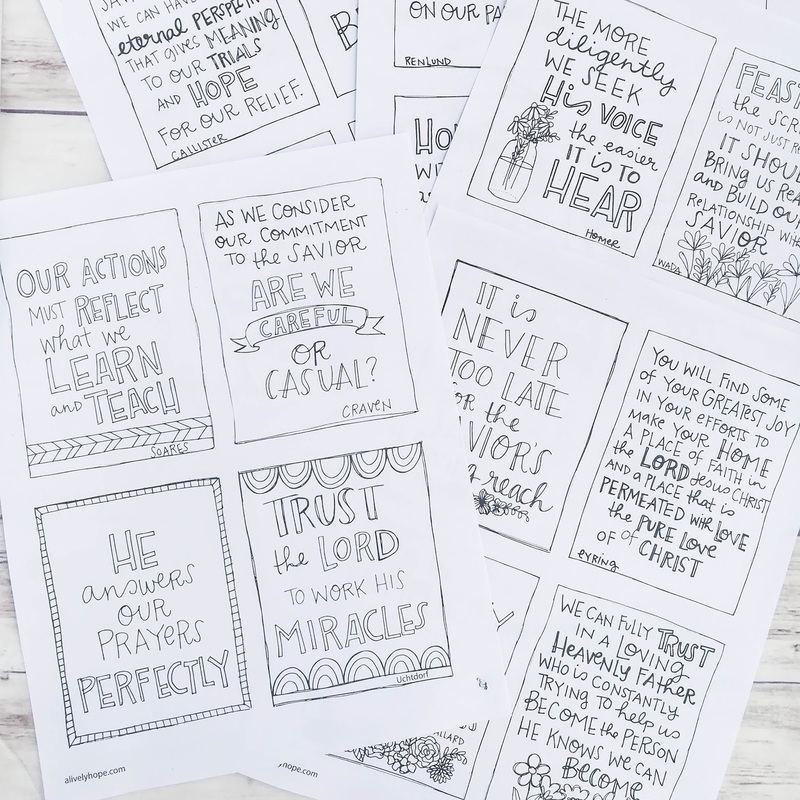 ADD TO A SCRIPTURE JOURNAL: Use these pages in a 3 ring binder, or paste them into your journal. Write additional notes and insights on the talks as you go. STICKER PAPER. Print on clear sticker paper and cut apart the doodles to add to your scripture journal, your Ensign magazine or into the margins of your scriptures. HANG ON THE FRIDGE. Cut the cards apart and hang one that is particularly powerful to you on the fridge, or your bathroom mirror, or anywhere you might see it often. You could switch out the card weekly, or whatever works best for you. 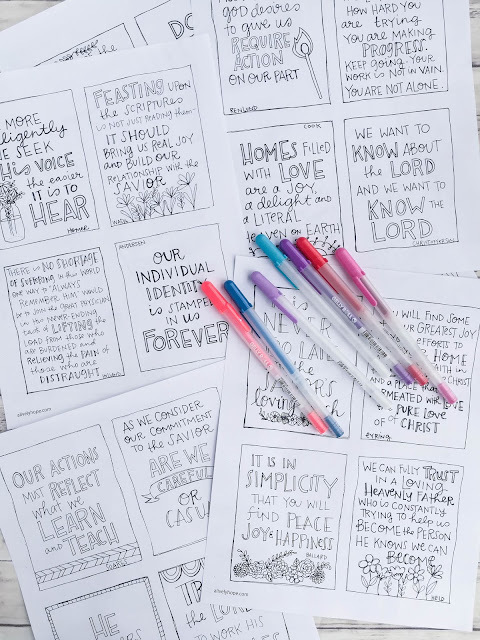 I'd love to see how you use these sketchnotes! Take a photo and tag me on Instagram.